Have you been looking for a home with a master on the main floor?! Look no further! The Winston floor plan offers that and so much more. The Craftsman style home featuring a brick faade, columns and open front porch that welcomes you. This beautiful home offers a large formal dining room, plenty of closet space and open kitchen with a large island that seats 6 as well as a fireplace and of course the Master bedroom suite! That's just the first floor! The second floor provides you with 3 spacious bedrooms a full bath with double sinks AND a bonus room with not one but two walk-in closets! 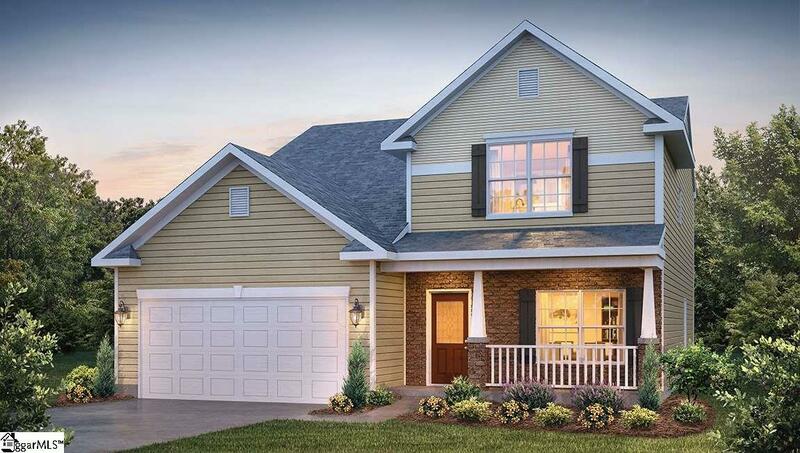 Clairmont Estates in Boiling Springs is conveniently located close to I-26 and I-85. The community is quiet and offers large lots for added privacy. Call the listing agent today before this rare beauty is gone! Winston B on lot 15.